Do you know anyone who has a tough time sticking with a diet plan, keeps promising to get back to the gym (but seldom does), and generally isn’t feeling too energetic, strong, or motivated? Does that person also sit at a desk in front of a computer most of the day? You just described millions of people in the USA alone. I’m one of them. Many of us are faced with all of those obstacles. We feel trapped. I’m definitely in the target market here. My personal yardstick is paying attention to how difficult it is to tie my shoes or clip my toenails. (I know. Don’t laugh.) It’s embarrassing to have to act like a gymnast … just to put my socks on. 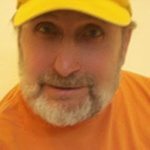 I starting sitting for work about twelve years ago. Ever since, my gut has been pushing out over my beltline and giving me grief. Not only that, but I finally bit the bullet and started taking medication to keep my blood pressure down. That was the final straw. Enough is enough. I started fighting back, but nothing I tried seemed right for me. The doctor’s best advice was to walk some each day and take the pills. The books were way too complicated. I needed something simple. In desperation, I designed my own program. I know, “He who is his own doctor is a fool.” But it worked. And it worked fast. Within eight days of my new eating and exercise plan, my blood pressure dropped so low I had to stop taking the pills (Praise The Lord). My energy started coming back strong. That old bounce to my steps returned. Then came this. Then came that. Then came the other, and I got off track. Then I was back on the pills and feeling like a used washrag again. My gut reclaimed its former glory. What do you do when something like that happens? Fortunately, I’d documented my program. I wrote down what I ate, when I ate it, the supplements I took, the exercises I did … everything. To answer the question, then: How can I know what I should do? Answer: Go back and do what worked before! Hey, there’s no guarantee I’ll get the same results. Another factor could’ve been at play. One thing for sure, though: I won’t know unless I try. So, here I go again. This is day one. ** By the way. Are you trying to figure out how to get unstuck? Is there something you’ve done before that worked for you? Try it again! Is there a voice inside telling you there’s no way you can succeed? 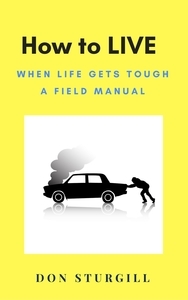 Get a copy of How to LIVE ( a field manual) and get unstuck!